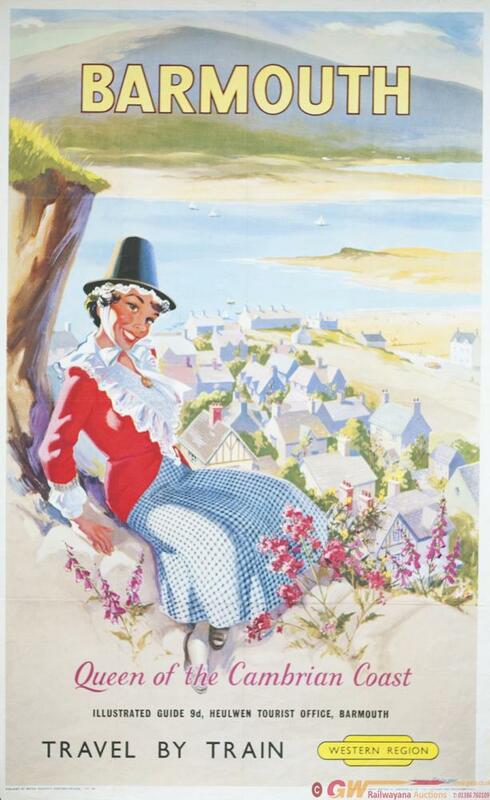 Poster BR(W) BARMOUTH QUEEN OF THE CAMBRIAN COAST by HENRY STRINGER. Double Royal 25in x 40in. In good condition with some folds.